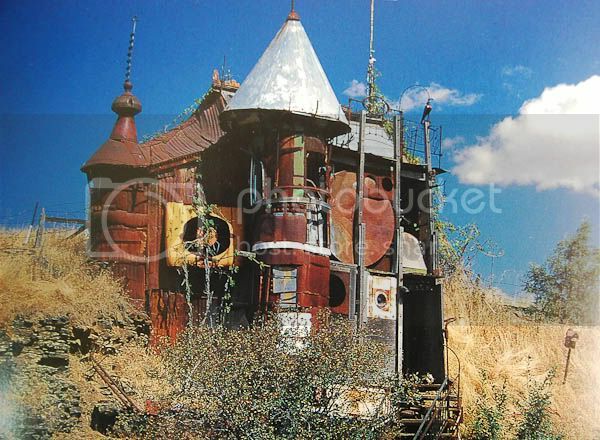 The Junk Castle was built by former art teacher Victor Moore and his wife Bobbie. 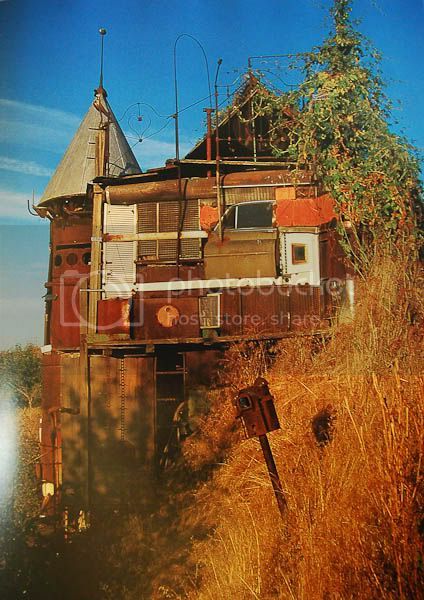 It is constructed from many different items, including sheet metal, tin, washing machine parts, dryer doors, miscellaneous housings, bedsteads, and even the door from a 1952 Oldsmobile. From the book "Fantasy Worlds"